Southbridge...Shirley A. (Goudreau) Forcier, 75, a lifelong resident of Southbridge, died Saturday, March 17, 2018, at Harrington Memorial Hospital, after a long illness. Her husband of 54 years, was the late W. Paul Forcier who died in 2014. She is survived by 5 sons Michael Forcier of Fall River, MA, James "Jim" Forcier of Brimfield, Gary Forcier and his wife Jessica of Woodstock, CT, Russell Forcier and his wife Sylvia of Brooksville, FL, and Jeffrey "Jeff" Forcier and his wife Trish of Quinebaug, CT. She also leaves 10 grandchildren, and 9 great-grandchildren, nieces and nephews, and cousins. She was predeceased by a sister Claire (Goudreau) DiFederico in 1988. Shirley was born in Southbridge, June 23, 1942, daughter of the late Onesime and Cecile (Menard) Goudreau, and lived here all her life. 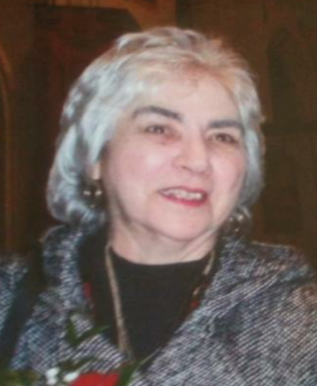 She was a member of Notre Dame Church (St. John Paul II Parish), and was a retired employee of Harrington Memorial Hospital, where she worked in the transport department for many years. She was a devout Catholic, who attended daily mass, and many church novenas. She enjoyed crocheting, Bingo, but most of all loved spending time with her family, and taking care of her grandchildren. Services:Calling hours will be Wednesday, March 21, 2018, from 5-8PM, at Sansoucy Funeral Home, 40 Marcy Street, Southbridge, MA 01550. The funeral Mass will be Thursday, March 22, 2018, at 10AM at Notre Dame Church (St. John Paul II Parish) 446 Main Street, Southbridge, MA 01550. Burial will follow at Saint Mary's Cemetery, Southbridge, MA.